According to the Bureau of Labor Statistics, welding, soldering, and brazing workers make up 10% of the total workforce in the US ship and boat building industry. Welders are an integral part of the shipbuilding process, ensuring that machines are ready to take on the challenges of the open waters. Welders in the shipbuilding industry generally enjoy job security, competitive pay, and the ability to create a long-term career without spending years in college. Apprenticeships are a great way to get started in the welding trade. What is it like to be a welding apprentice on shipyard? What are the qualities employers look for in potential employees? How does a formal education give applicants an edge over their self-taught competition? Observation is an important part of apprenticeships. Learners often play the role of assistant to an experienced coworker. In between obtaining tools and materials and performing basic job duties, apprentices spend time watching their mentor. In this way, they are able to learn the demands of the job without risking the production capabilities of the business. In a typical day, a welding apprentice could find themselves reviewing safety and procedure manuals, observing a more experienced mentor while they perform their duties, or practicing a new weld under the watchful eye of an instructor. These characteristics help welders produce strong, straight seams and joints. In shipbuilding, a bad weld can cost the company money, time, and their good reputation. Job applicants who fit these descriptions are less likely to make costly mistakes. Formal Education vs Self-Taught: Who Makes the Most Successful Apprentice? You don’t necessarily need an education to be accepted as an apprentice. However, there are benefits to attending formal training that makes it a smart career move. In a formal study program, students are taught how to work with a variety of welding techniques, tools, and materials. That makes graduates suitable for a number of different types of jobs, making it more likely that they’ll land a position with the company they want. Some apprenticeship programs offer a stipend or hourly compensation while you learn. Training school graduates are more likely to land these competitively paid positions when compared to those with no formal instruction. Welding is a science. Chemistry, physics, and mathematics play a huge role in this daily work. Without formal training, students may learn how to complete operations and successfully complete their job duties. However, without an understanding of the science behind their actions, these workers won’t have the same access to promotion and growth opportunities as their formally trained counterparts. 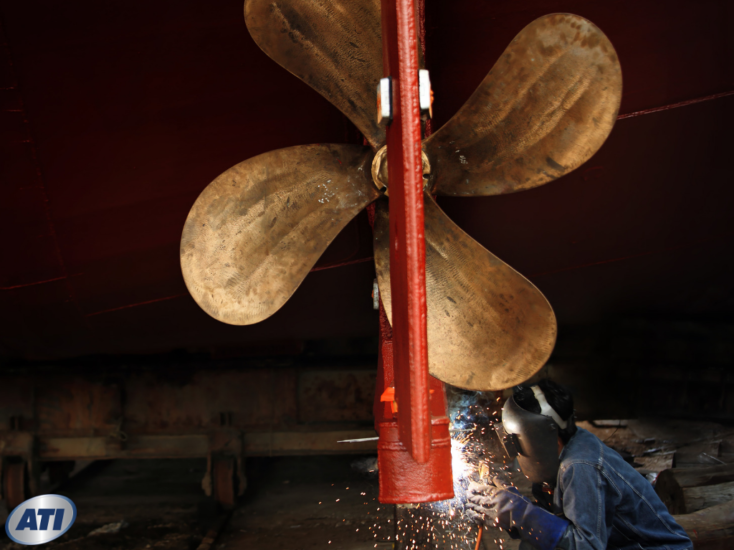 A formal education gives potential shipyard welders more options throughout their careers. 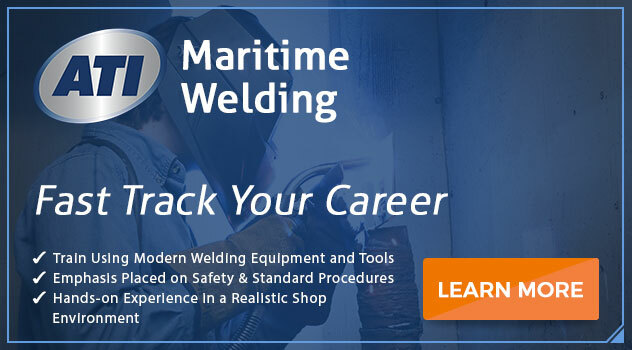 The Associate in Occupational Science degree in Maritime Welding Technology with Service Management from Advanced Technology Institute helps students learn what they need to know to land prestigious positions as a welder in a shipyard. With additional certification options, students can customize their career path and create their own version of success. Contact our representatives to learn more about this formal training program. Previous PostTruck Driver Shortage Solutions: Could Your New Trucking Career Help End This Issue? Next PostHVAC Schools in Virginia Beach: Are They Really Needed to Start a Career in HVAC?